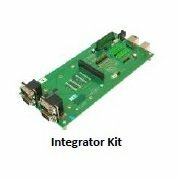 The Septentrio AsteRx3 Integrator Kit is designed for OEM development/integration. It includes an OEM board, input/output development board, antenna cable, USB cable, power cable, null modem cable, general 80-pin interface header cable, etc. The Septentrio AsteRx3 Integrator Kit is designed for OEM development/integration. It includes an OEM board, input/output development board, antenna cable, USB cable, power cable, null modem cable, general 80-pin interface header cable, two 80-pin interface headers for mounting on a PCB, RxControl GUI with all necessary user manuals. The Septentrio AsteRx3 Integrator Kit multi-frequency receiver is designed for rugged industrial applications. It tracks Galileo, GLONASS and GPS signals reliably. The Septentrio AsteRx3 Integrator Kit also offers several new algorithms that enable the receiver to operate reliably in difficult industrial applications. These include AltBOC for Galileo tracking, advanced APME multipath mitigation algorithm, LOCK+ for outstanding tracking stability where high vibrations occur, RTK+ for larger baselines and fast initialization, and the company’s Advanced Interference Mitigation (AIM+) technology with centimeter-level measurement accuracy. 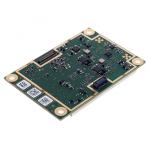 The unit is compatible with AsteRx2 and AsteRx2e GLONASS/GPS receivers. This allows users seamless transfer to modern GNSS signals. The Septentrio AsteRx3 Integrator Kit can be ordered from TerrisGPS. Please use the Request Pricing form to contact us if you need more information.